Patty and I hiking the trails, looking for birds and having some laughs. 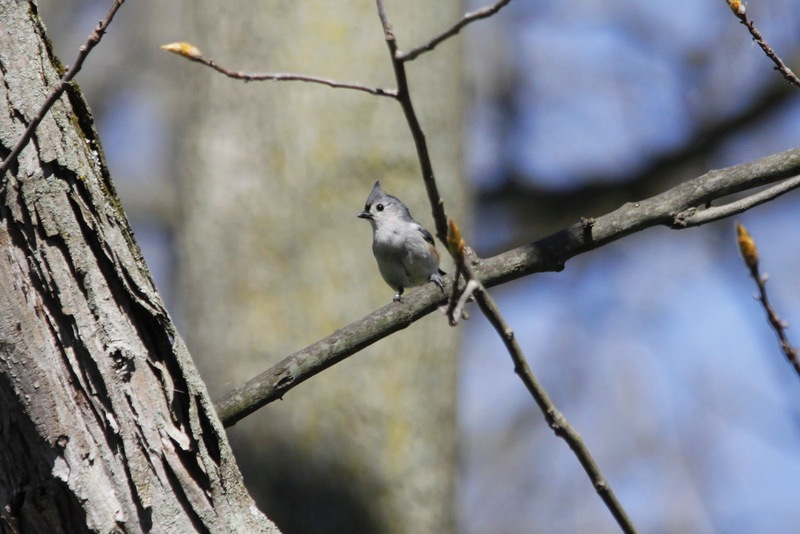 Last Saturday, Rob and I had the pleasure of taking our new birding friend, Patty, to one of our favorite places to visit, Ruthven Park. 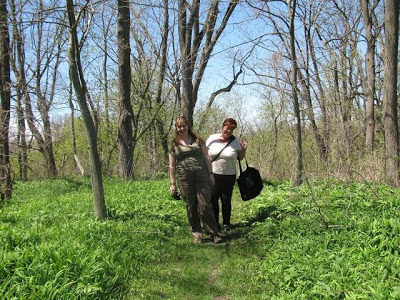 Patty is fairly new to birding, and this is her first Spring, an exciting time for a birder. 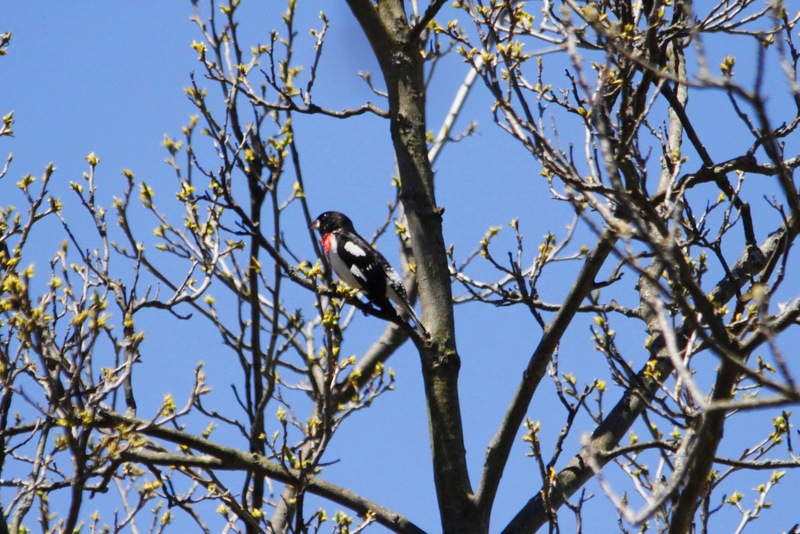 She enjoyed Ruthven Park as much as we thought she would and her excitement of seeing so many new birds for the first time is contagious. 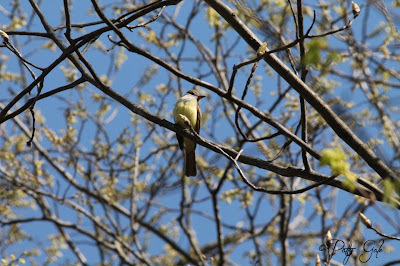 She had 8 lifers during our outing; Eastern Bluebirds, Chimney Swifts, Tufted Titmouse, Great Crested Flycatcher, Palm Warbler, Yellow Warbler, Yellow-rumped Warblers and Blue-gray Gnatcatchers. A Tufted Titmouse, one of the park's treasures. The Turkey Vultures were flying nice and low. We had our first sightings of Rose-breasted Grosbeaks this Spring. 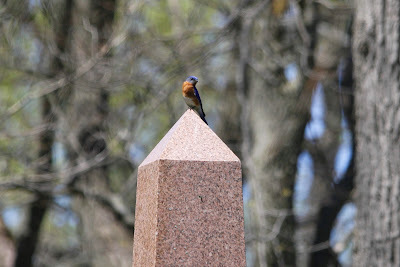 Rob was thrilled that the Eastern Bluebirds were hanging out in the cemetery. 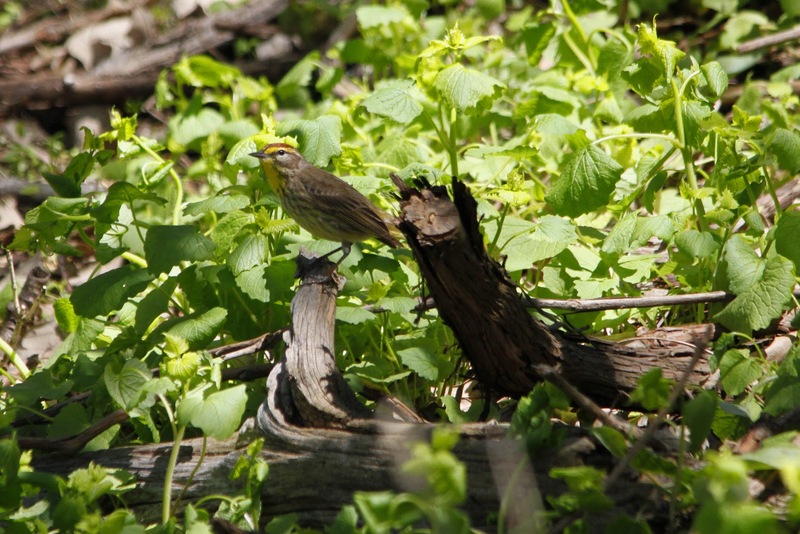 First Palm Warbler sighting of the season for us and a lifer for Patty. 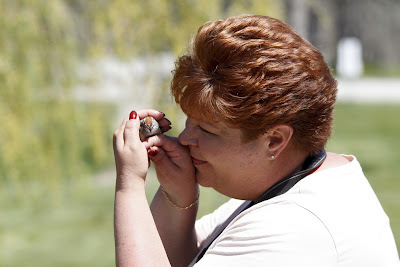 Just when I didn't think Patty could get more excited, she got a chance to release a couple birds from the onsite banding station, she was over the moon. 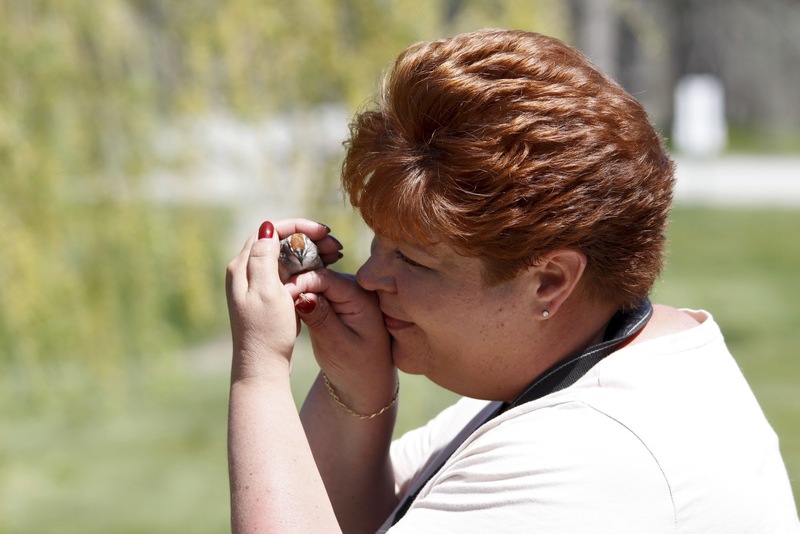 She had a bit of trouble with the "release" part of releasing this Chipping Sparrow. 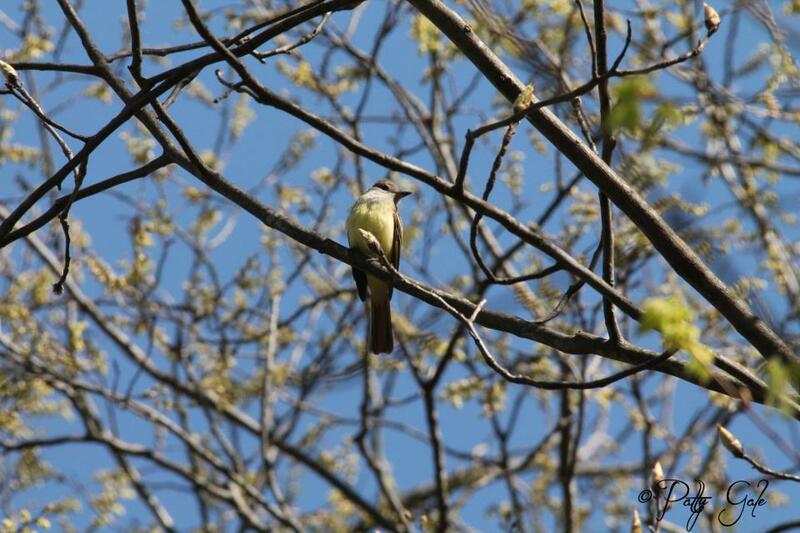 Patty captured this great shot of a Great Crested Flycatcher while Rob was yakking to a friend. 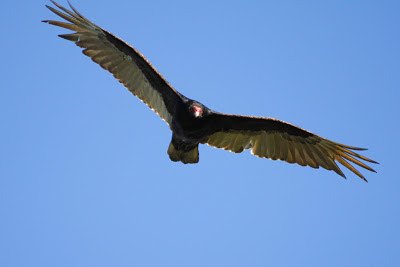 Rob and I have been birding for close to 9 years now and we still love it, but getting lifers becomes harder as the years go by, and it was great fun for us to watch Patty add to her list Sunday.